The Toronto Sun called the band’s 2016 performance at the Air Canada Centre “…a fast-paced two-hour show with few moments to catch your breath” while the Edmonton Journal commented about the Rexall Place show: “Every Maiden show I’ve ever seen in this temple is the best one, and so was this”. Tickets start going on-sale Friday January 27 @ 10am via www.livenation.com or www.ticketmaster.ca or call 1-855-985-5000. 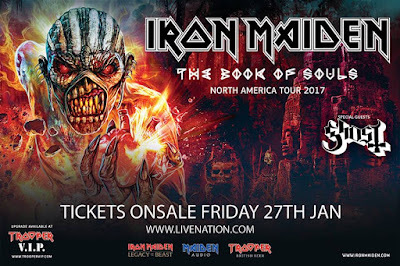 As usual, there will be an exclusive pre-sale for IRON MAIDEN Fan Club members, details of which can also be found on www.ironmaiden.com along with information on how Fan Club members can participate in the draw to be “First To The Barrier”. 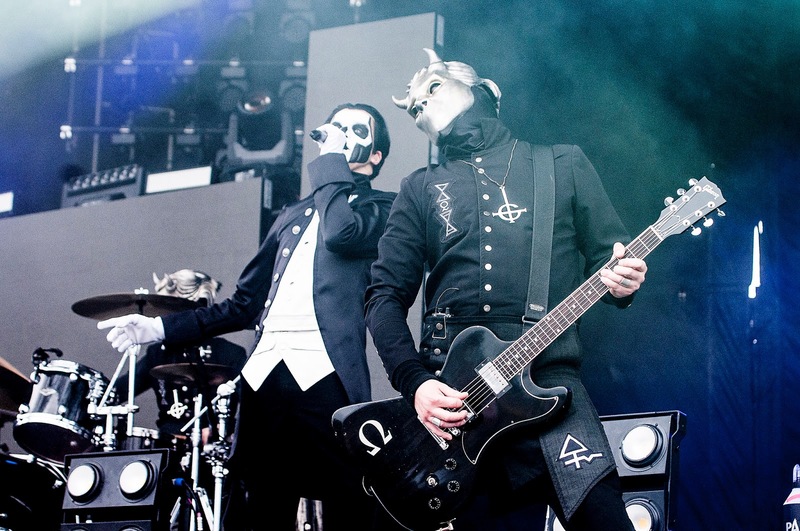 IRON MAIDEN are delighted to welcome Ghost http://ghost-official.com/ as their Special Guests for the North American leg of The Book Of Souls World Tour. After great feedback to last year’s North American trial of the concept, Maiden fans will again be able to enjoy a TROOPER VIP Upgrade package that will allow them early access to the venue, a pile of TROOPER goodies and MAIDEN swag, TROOPER beers, food and a designated area to meet with other fans, plus the opportunity to win some great prizes. The upgrade packages are available at $260CAN from www.troopervip.com . The concert ticket must be purchased separately. The Book Of Souls is Maiden’s first ever double studio album and their most successful chart-wise to date, debuting at the No.1 spot in over 40 countries around the world and No.2 in Canada.